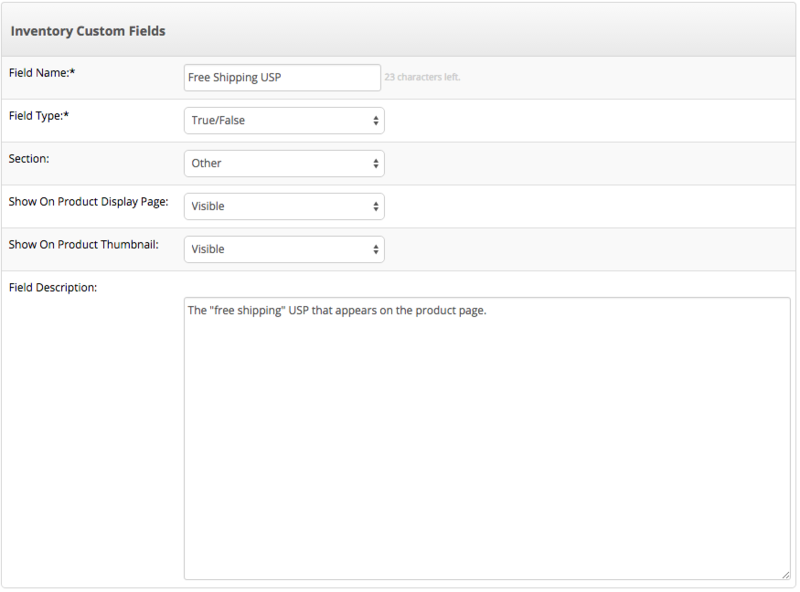 Having each USP set up as a unique custom product field, so that they can be turned on/off for the customer. Setting the USPs up as a content zone, which means that all of them will show on all products. Go to Setup & Tools > All settings & tools > Click on the Products tab > Click Custom Product Fields, and create a new custom product field for each USP, using the below options and text layout for each.